Limitation for 2014 years in the fall and winter! It is the headphones of the highest grade that performed collaboration with "MONSTER CABLE" of the American well-established sound brand! 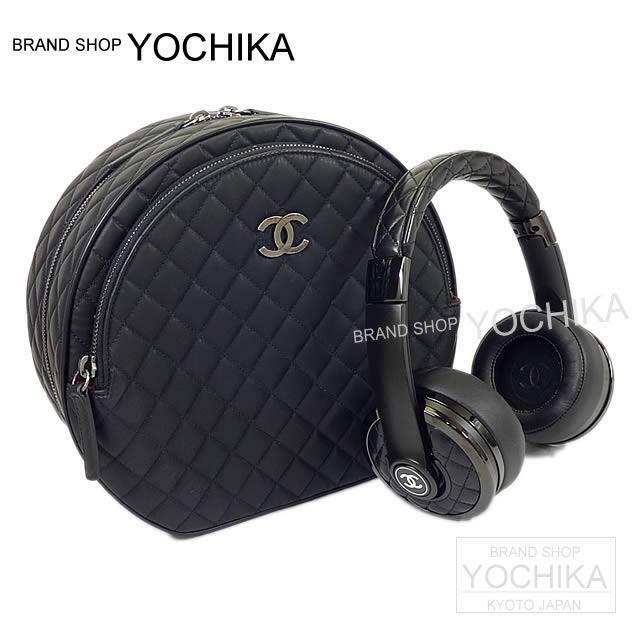 Leather and the here mark of the matelasse stitch on behalf of Chanel are decorated everywhere, and the feelings and sense of quality are that there is not it to other headphones made! The simple use that the connection of bluetooth only pushes the here mark for the sidepiece! The cable for cable broadcasting is attached! It is sound of the low tone serious consideration like MONSTER CABLE! It is said that sound quality worsens by all means when I tie it by radio, but, as for such a thing, there are none about this really! It is the first class goods made carefully in detail of the function! The person to want the thing which balanced functionality with design characteristics, please demand these headphones!